One of the most adorable things my 3 year old is saying right now is, "thanks mom, you're the best." I then follow with, "no, you're the best!" This goes back and forth for a while. I know one day she won't say these things as freely so for now I am going to eat it up! 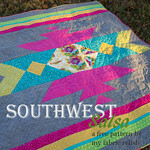 I had promised big relish a handmade when I went off to QuiltBLISS and dropped the ball. Luckily, the pink plastic miniature horse I won that was part of the Sarah Jane decororation pacified her that night I returned home. I was itching to finish something quick this week and decided to make a pixelated heart pillow. I had cut a bunch of solid 2 1/2 inch squares and 3 inch squares for another project; therefore, churning out this pillow was pretty quick. 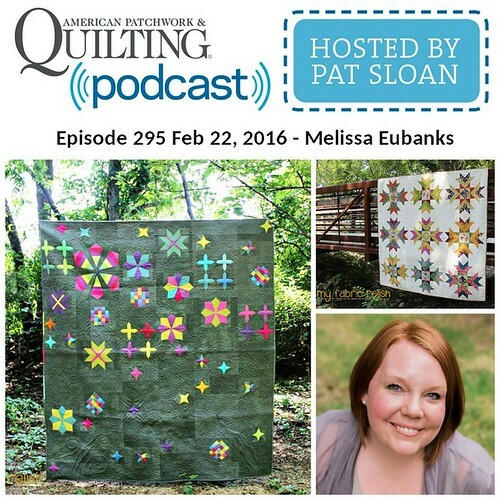 You need 10 hst's for the heart (3 x 3 inch blocks) and the rest are 2 1/2 inch squares. I then added a border using some more of the 2 1/2 inch squares and quilted diagonal lines. Finished size at 20 x 20 inches. I must have been delirious while cutting because I was way off on one row where the seams don't match (pink square in middle). Yup, right there. SMH. Oh well...part of the charm and the benefit of gifting to a three year old. ps - big relish has also picked up a new word that isn't quite as adorable and starts with a big giant "F" --- oops!! We are working on that mommy (and daddy but mostly mommy) fail. Gorgeous. I really like the solids - and that shade of orange with the blues is standout. Isn't it just so shocking when we hear out littles saying THOSE word?!!! Ooops haha! Love that sweet heart pillow. And yes, it is hard to be good. Don't give up! a lovely cushion and I do like the way you have put the squares around the edge too. Woops out of the mouths of babes! Fortunately, the dogs can't repeat after me...love the pillow! Love this pillow!! And oh, out of the mouths of babes. :) It happens. More than once or twice here too! Love the pillow! So cute. I hope the word you're referring to is "fabric". Your pillow is very cute, but you shouldn't point out your slightly off-set piecing. The adorableness is distracting enough that nobody would notice. 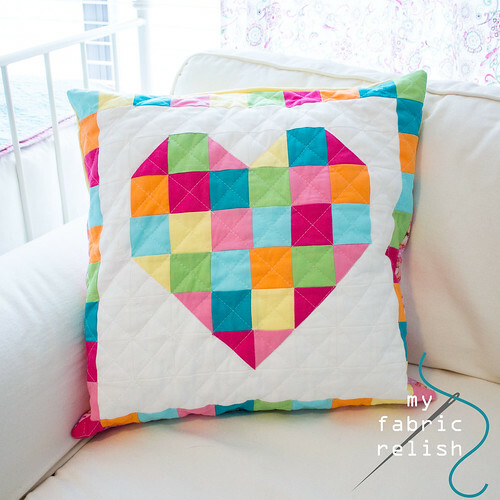 This pillow is just too cute, I love all of the colors! great pillow, and I didn't even notice the mistake until you pointed it out!! Such a cute pillow! 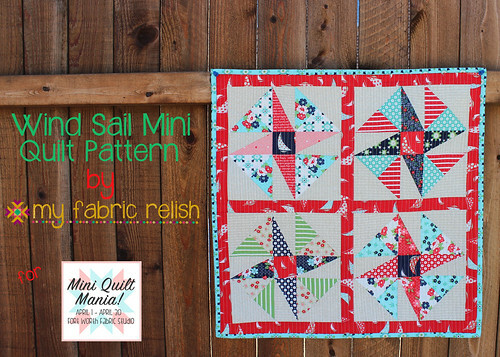 I love it with the white background, so bright and fun:) Are those solids in a collection or just random? Love the pillow! 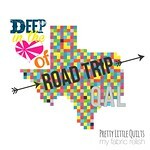 It was so great getting to know you at QuiltBliss! Same time next year?! What a cheerful pillow. Perfect for V day. Didn't see it til you mentioned it. Precious pillow. Never point out a mistake!! 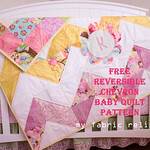 I would have not noticed at all-but a very pretty patchwork piece and just in time for Valentine's day. I love the bright colors! 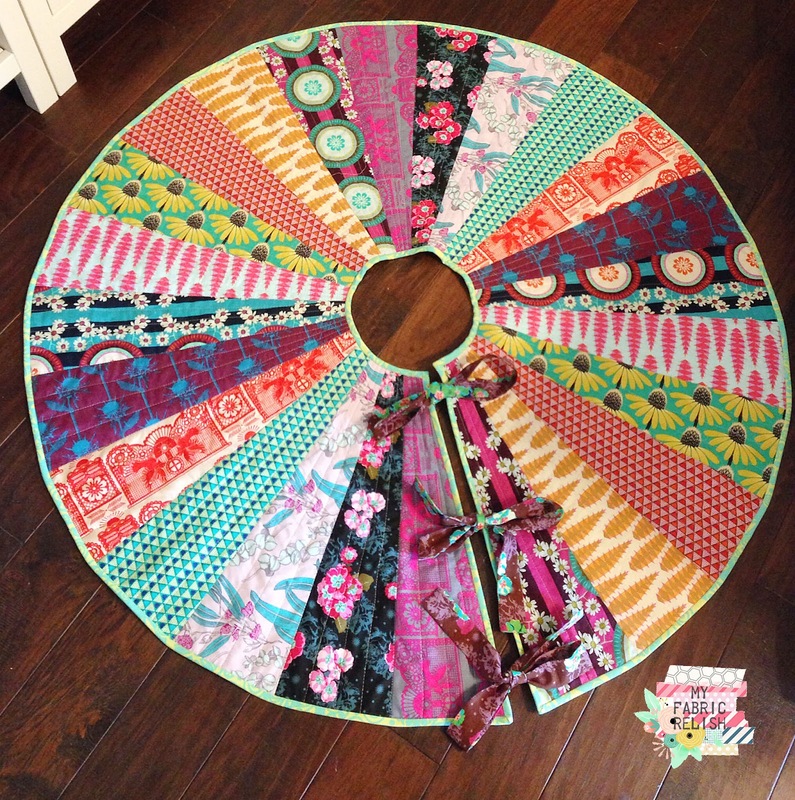 What a fun project and the instant gratification is well worth the little mistakes along the way. So funny! (about the F word!) So cute about the little one. And really cute pillow! I love your happy heart pillow!